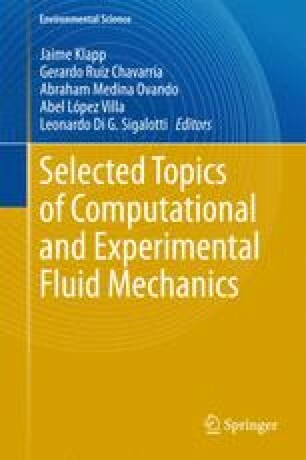 We provide examples and a concise review of the method of Dissipative Particle Dynamics (DPD), as a simulation tool to study soft matter systems and simple liquids in equilibrium and under flow. DPD was initially thought as a simulation method, which in combination with soft potentials, could simulate “fluid particles” with suitable hydrodynamic correlations. Then DPD evolved to a generic “thermostat” to simulate systems in equilibrium and under flow, with arbitrary interaction potential among particles. We describe the application of the method with soft potentials and other coarse-grain models usually used in polymeric and other soft matter systems. We explain the advantages, common problems and limitations of DPD, in comparison with other thermostats widely used in simulations. The implementation of the DPD forces in a working Molecular Dynamics (MD) code is explained, which is a very convenient property of DPD. We present various examples of use, according to our research interests and experiences, and tricks of trade in different situations. The use of DPD in equilibrium simulations in the canonical ensemble, the grand canonical ensemble at constant chemical potential, and stationary Couette and Poiseuille flows is explained. It is also described in detail the use of different interaction models for molecules: soft and hard potentials, electrostatic interactions and bonding interactions to represent polymers. We end this contribution with our personal views and concluding remarks. C.P. thanks Marcus Müller for the enjoyable and fruitful discussions since he started in this exciting topic of simulations of soft matter systems. Kurt Binder and Torsten Kreer are also gratefully acknowledged for the support and scientific discussions in the nice times of Mainz. AGG would like to thank F. Alarcón, M.A. Balderas Altamirano, C. Carmín, E. Mayoral, G. Pérez-Hernández, and E. Pérez for their help and collaborative efforts.